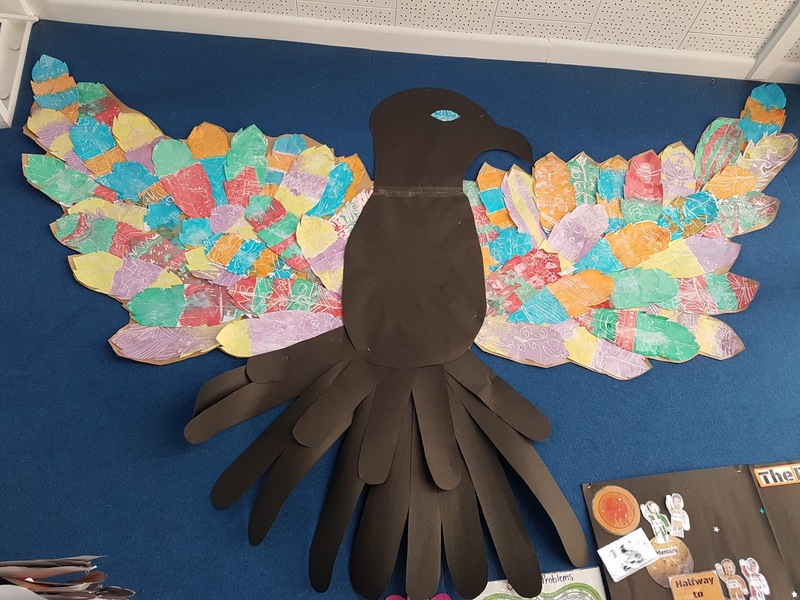 We made a collaborative bird in Team Awa. We each designed and created our own feather. We drew our patterns with chalk then went over the top with white crayon. We chose complimentary colours to dye over the white crayon so the patterns stood out. Here is a video we made of each of us with wings. Here is a photo of our bird on the wall. Hi my name is Sarsha I'm from Blaketown school. I like the bird with the really cool wings. My favorite part was the colorful wings they are so pretty and colorful. Well I hope we meet in the futcher. From Sarsha.